Coconut butter is made by blending pieces of coconut meat in a food processor for around 30 minutes until a smooth and creamy texture is obtained. 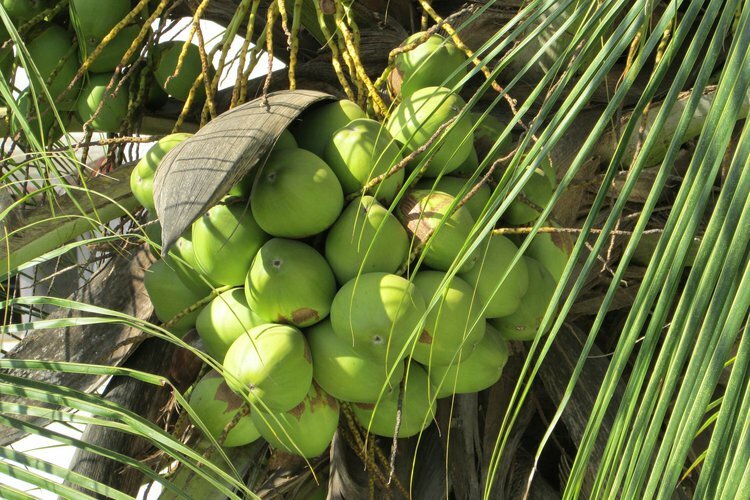 Coconut is known for its versatility and used in many tropical and sub-tropical cultures across the world. Coconut butter is made from coconut meat, known as copra. Although the terms coconut butter and coconut oil are used interchangeably, they are distinct products. Coconut butter is made by blending pieces of coconut meat in a food processor for around 30 minutes until a smooth and creamy texture is obtained. It does not go rancid and can be kept for 2-3 years at room temperature; it should not be refrigerated. Coconut butter is easily digested because of the presence of medium-chain triglycerides that do not need bile action for digestion. It is absorbed by the small intestine and directly transported to the liver, where it is instantly used up. It has been reported that coconut butter contains lauric acid, which is converted into monolaurin in the human body. This has antiviral, antiprotozoal, and antibacterial properties and is used to destroy HIV, influenza, Helicobacter pylori, and Giardia lamblia. Coconut butter is a good option for individuals who are dieting, because the body prefers to burn it up instead of storing it. It mildly promotes thermogenesis. Thermogenesis is the mechanism of heat generation by the body accompanying metabolism and it occurs in all organs. Additionally, coconut butter also protects protein in lean tissues when calorie and carbohydrate intake is low. Contrary to popular belief, coconut butter raises levels of “good” HDL cholesterol. It also has fewer calories compared to other vegetable oils. Coconut butter is known to prevent heart disease in populations that consume large amounts of it. These days, coconut butter is available in health food stores and it is regarded a healthier substitute to other fats. Amarasiri, W. A. D. L. (2006). Coconut fats. Ceylon Medical Journal, 51(2), 47-51.
levels. European journal of clinical nutrition, 52(9), 650-654.